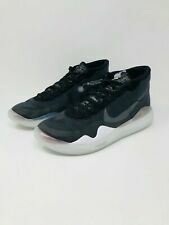 NEW NIKE KD 12 “DAY ONE” (AR4229-001) Black/White SIZE 11 FREE SHIPPING! NIKE AIR FORCE 1 HIGH PRINT-NO BOX LID- SZ: MNS 13 #AR1954 001 RETAIL: $110. This page was last updated: 22-Apr 17:43. Number of bids and bid amounts may be slightly out of date. See each listing for international shipping options and costs.